Public participation—where citizens help shape and implement government programs—is a foundation of open, transparent, and engaging government services. From emergency management and regulatory development to science and education, better and more meaningful engagement with those who use public services can measurably improve government for everyone. The plays are structured to provide best practices, tangible examples, and suggested performance metrics for government activities that already exist or are under development. Some categories included in the plays include: encouraging community development and outreach, empowering participants through public/private partnerships, using data to drive decisions, and designing for inclusiveness and accessibility. Through this process, the team will work together to ensure that the Playbook reflects the best ideas and examples for agencies to use in developing and implementing their programs with public participation in mind. This resource will be a living document, and stakeholders from inside or outside of government should continually offer new insights—whether new plays, the latest case studies, or the most current performance metrics—to the playbook. 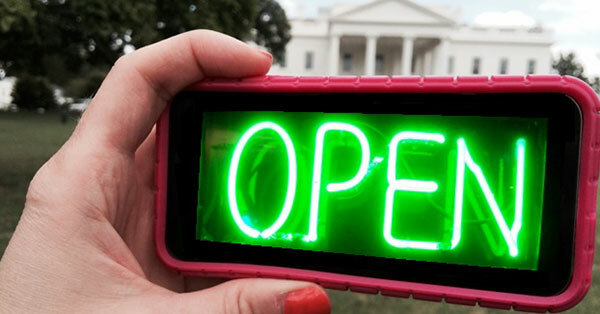 This post was originally published on the White House blog by Corinna Zarek, Senior Advisor for Open Government for the U.S. CTO, and Justin Herman, SocialGov lead for the General Services Administration and is managing the U.S. Public Participation Playbook project. « Trends on Tuesday: What Are You Asking Your Phone?